Signatures are a vital part of your operational success. They are needed for approval, authorization, and acknowledgement on documentation from patients, clinicians and administrators. But in healthcare, getting a signature is more than just putting pen-to-paper. There are layers of complexity and requirements that can have you restarting from square one if just one element is missing. The time and effort it takes to manage the signature life cycle adds to your costs and cuts into your margins. Moving to electronic signature software is the obvious way to stop chasing paper and improve efficiency. But sending the documents for signature in an ad-hoc or one-off way maintains many of the challenges of a paper signature process. Digital Transaction Management (DTM) technology will allow the process of obtaining a signature to be codified and documents to be tracked while they are in circulation. If a document is not signed or returned in a specified period of time you can be notified. This is a step forward toward productivity. But is it enough? At Medforce, we’d argue it is not. 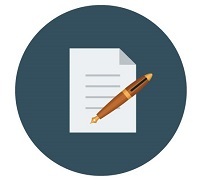 The full signature life cycle doesn’t start with the sending out of a document to be signed. We believe the entire document approval lifecycle starts with the creation of the document. It starts with data gathering and form population or document development. Then comes the DTM portion of sending the file and tracking its progress and capturing the signature. But it doesn’t end there – it goes on to answer the question: what needs to happen next? The signature was being captured for a reason. What are the post-signature actions that need to be taken? Should someone be notified? Does it need to be filed? Is another process on hold until this item is received and now can be released? And, of course, once the active life cycle is done, storage and archive for easy retrieval is imperative. With audits, the need for a signed document can arise again years in the future. You need to be able to easily access it. Having your electronic signature software address just one of these steps adds to the efficiency of your organization. Any time you can keep an electronic document digital you are cutting out non-value-added effort. But, to truly benefit from the full potential of efficiency you need to use technology that creates a seamless, integrated, and complete signature life cycle. To learn more about Medforce's electronic signature tool, SignCenter, click here.